You need not be a techno geek or genius to figure out that mobile has officially taken over. This is the new buzzword in most corporate circles. Terms like mobi-responsive and mobi sites are being thrown around often. You may wonder as to what this actually means for your business and the way in which it communicates. Let us decode this for you and help you understand and take advantage of this phenomenon. The reason why mobile has become such a big deal in African countries is that for one, the smart phone market has diversified greatly and manufacturers are developing more affordable smart phones. This is also very convenient for them. Think Kenya’s M-PESA which people can use to pay their bills, from taxi fares and other bills. According to www.sciencedaily.com 40% of devices used to browse the internet in the greater African market are mobile phones. With the next leg of this big boom predicted to come from Kenya as the second hand mobile phone market booms. With such great developments in the continent, you too ought to take advantage of this and connect your employees to mobile fax to email. This is where you would be able to receive and send faxes using your smart phone from wherever you are. 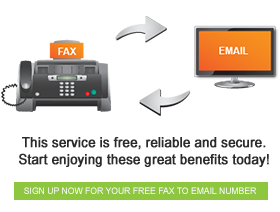 We have various fax to email packages to suite your needs, whether you need it for individual household or business use. Contact us today to learn more about this incredible service and simplify your life.